Jared Leto takes to social media to tease the upcoming Sony Spider-Man spinoff Morbius the Living Vampire movie. Leto posted a video of himself shaving off his beard on Twitter, which finishes with a pic from the comics of the Morbius vampire teeth. "And so it begins..." Leto posted along with the hashtag, "#MORBIUS." 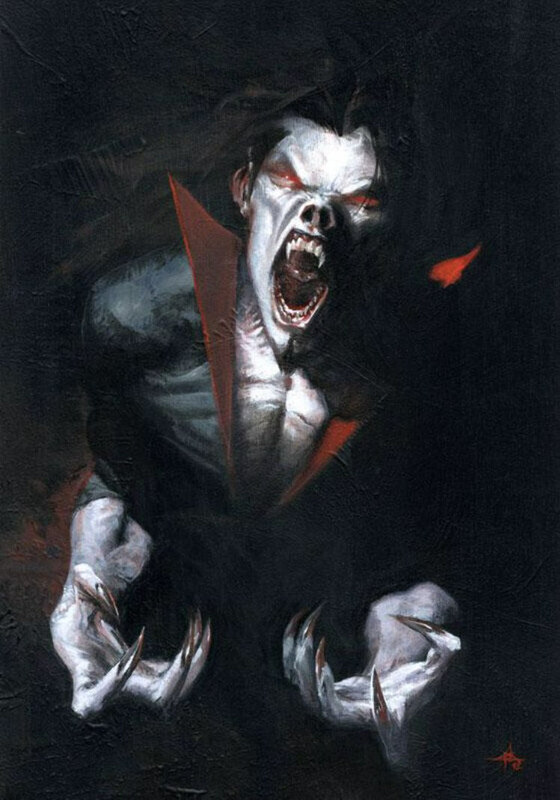 In the comics, Dr. Michael Morbius has a rare and fatal blood disease, and when he attempts to find a cure becomes Morbius the Living Vampire. The character is a villain of Spider-Man, but at the same time sometimes an ally as well as an anti-hero. More than likely, similar to Tom Hardy in Venom, Sony will be going the anti-hero route as well. Venom recently passed the $700 million mark at the box office, thanks to China, and is expected to reach $800 million, which is a huge number for the movie and a big success for Sony. Thanks to Venom's box office, not only is Sony moving forward with Jared Leto and Morbius, but also sequels with Woody Harrelson as Carnage and additional films for Silver Sable, Black Cat, Kraven the Hunter, Knightwatch, Silk and more. It has even been said Sony wants to connect their Spider-Man spinoff universe to Tom Holland's Spidey as well as the MCU and the Avengers. Morbius doesn't have a release date as of yet.